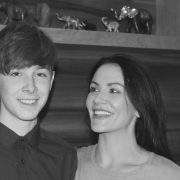 Grainne’s drive to succeed started at a very young age, after becoming pregnant at 15 and having her son Ryan in Aug 2001 Grainne returned to resit her exams 4 weeks later after having Ryan. Grainne worked her way through the retail chain gaining position of store manger for Aldo Shoes at the age 20 but knew she wanted so much more. She decided to pursue her career as a professional makeup artist. With now over twelve years of experience, Gráinne is a highly versatile and multi-talented make- up artist. Her unique flair for colour and styling has been seen in her work over the years, across a wide range of projects, from editorial and event make-up to film productions . Working across Ireland and the UK, her make-up career was never in question. Her makeup career has taken her across Uk & Europe as Makeup Designer of many feature films, from roles with international brands such as Laura Mercier, to most recently collaborating with global makeup brand Trish McEvoy & designing her latest summer planner as well as co hosting Trish’s events. Grainne also worked at Google & YouTube HQ London as makeup designer on shows such “Google Hangout” and works yearly with A list Celebs at Cannes Film Festival. As comfortable designing looks for commercial shoots as she is as Make-Up Designer for film and TV projects, her scope and variety is as unlimited as her ambition. attitude and no-nonsense demeanour. 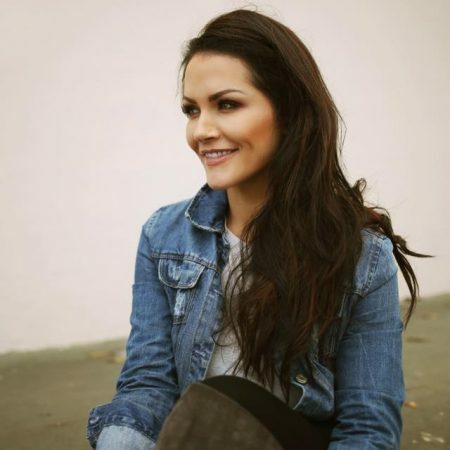 As comfortable backstage as she is in front of the camera, her multi-platform engagement includes blogging, video tutorials and active discussion with her social media followers. With Grainne’s passion to inspire and mentor people this was quickly noticed by “Qube Leaning” a training provider that specialises in providing short courses, trainership & apprentice programmes across the Uk. Grainne’s has been working closely with Qube all year and is now representing Qube as their Ambassador as well as a exciting partnership in 2018. Grainne has taken her expertise in makeup and drive to inspire young people and works with numerous organisations in Northern Ireland & Uk. 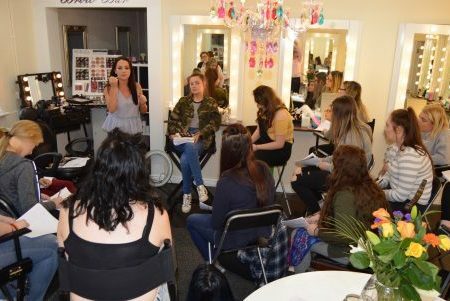 Grainne offers makeup programmes, bespoke for 16-24 years who are unemployed, as a first step back into a working environment. While doing all of the above Grainne was also working very hard on fulfilling one of her goals and producing her own range of eyelashes, which will now be available this Autumn. Grainne became a mum at the tender age of 15 but she had an ambition inside her and a passion to succeed and vowed never to let being a young mum old her back from anything. I wanted to show Ryan what's possible in life if you push yourself hard enough and know what you want from the outset. I try to inspire young people during my workshops with this message.